Please attend if you can - the more the merrier! Please email Mike Beckett to let him know if you are coming or not. Eight years ago, Peter Gould pictured, left the area to go and live in Holland with his brother. 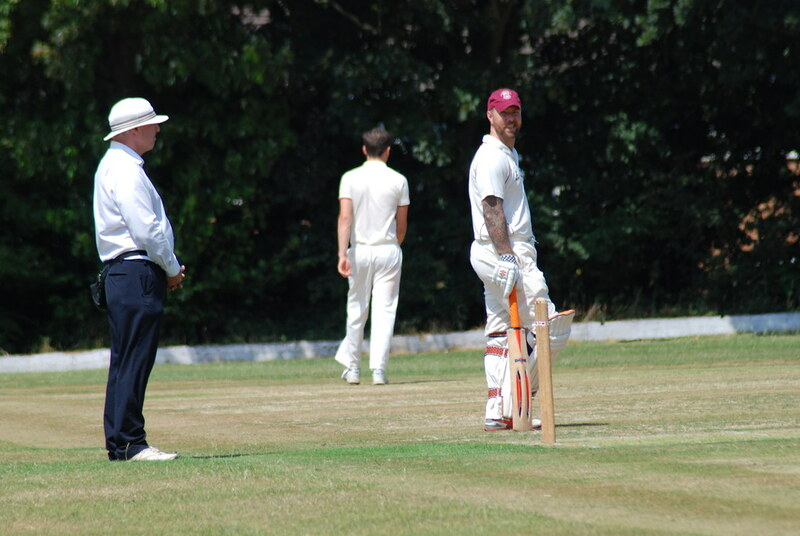 This year the cricket urge has come back and he has joined a top club near Amsterdam, where he has now managed to get into the 2nd XI. They are coached by the Canterbury spin coach and the brother of the current NZ wicketkeeper Brendan McCullum, although I doubt he will learn anything from them after his 'test match' grounding from an early age at Holm Lane! 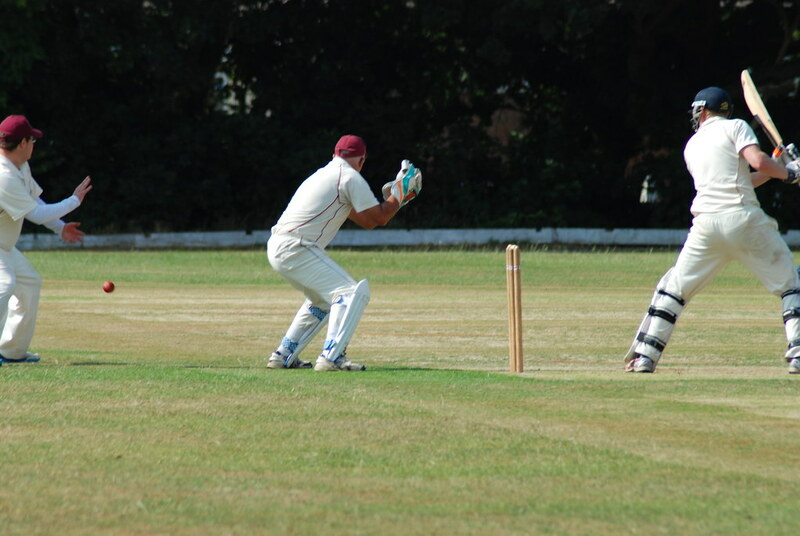 Last Saturday they demolished the opposition for 80 after a mangled 'double Dutch' sledging from the boy from Balls Road and knocked them off quickly. As you would expect he managed to acquire kit of all sizes and colour in no time as well as lifts and other perks, readily available to such an important signing! 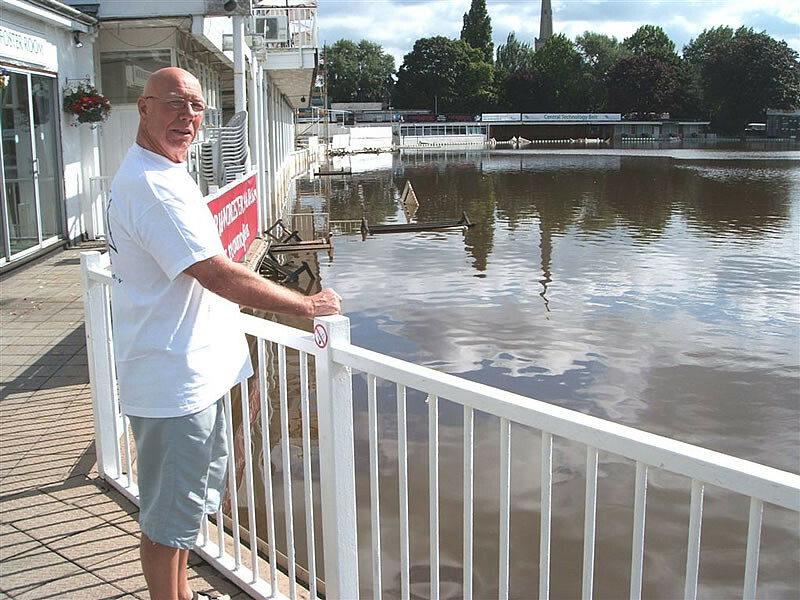 Getting back to cricket has meant the postponement of this years trip to England with the lovely Barbara and when he does get to the club next, with the passing of Ron Caton he will not be chased for his 1999 subs. I think this Dutch club should have contacted us to see if he had fulfilled all his obligations! He sends best wishes to all his old friends and holders of the IOUs. 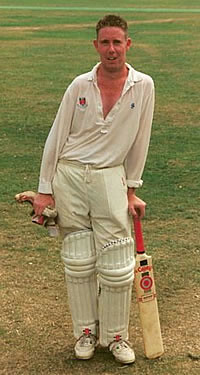 With his connections to cricket and golf he hopes that we will think seriously about a tour to Holland in the future. 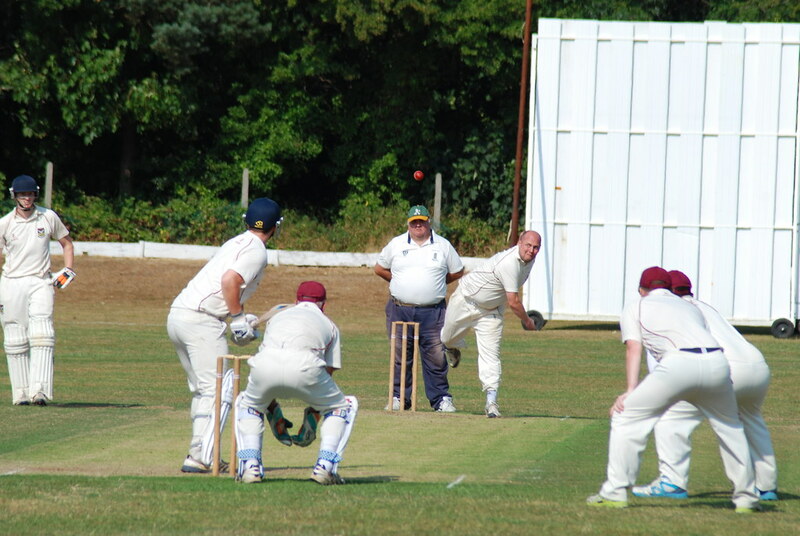 A very good weekend for the Cricket Section. On Saturday the first team played the league leaders, Kingsley. 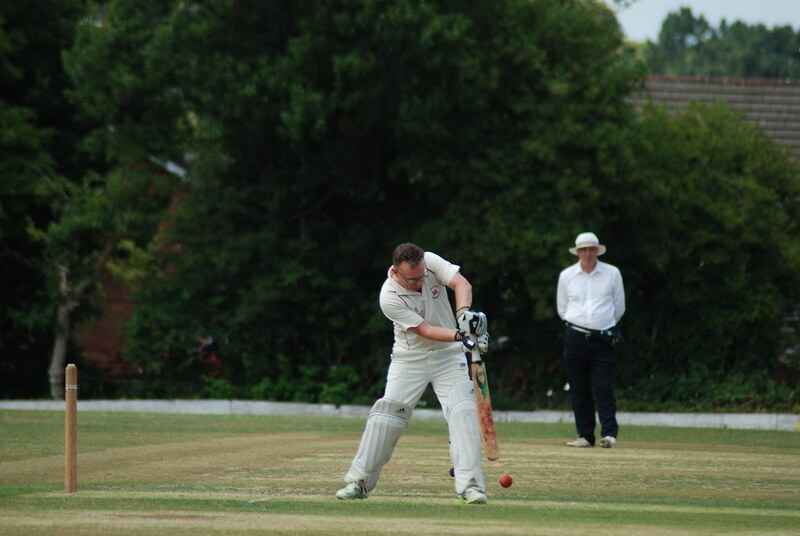 We scored 153 all out, not a high score on a very good Holm Lane wicket, top score was 38 from Greg (blaster) Lindop. 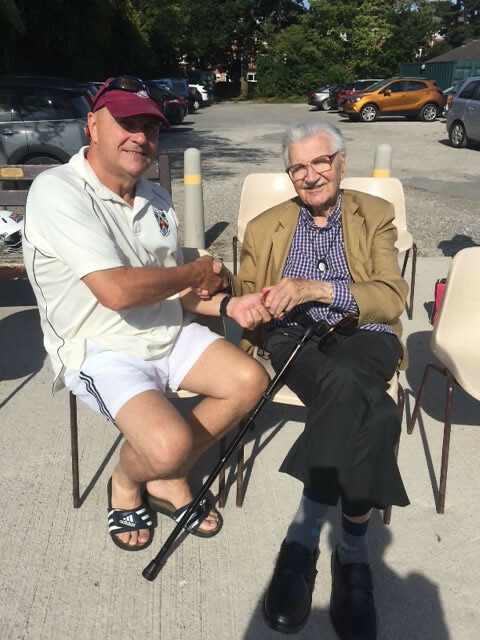 They batted and were skittled for 74 by a great bowling display from Dave Fletcher, 5 for 37, well supported by veteran Chris Hitchell with 3 for 12. A great display from the team. 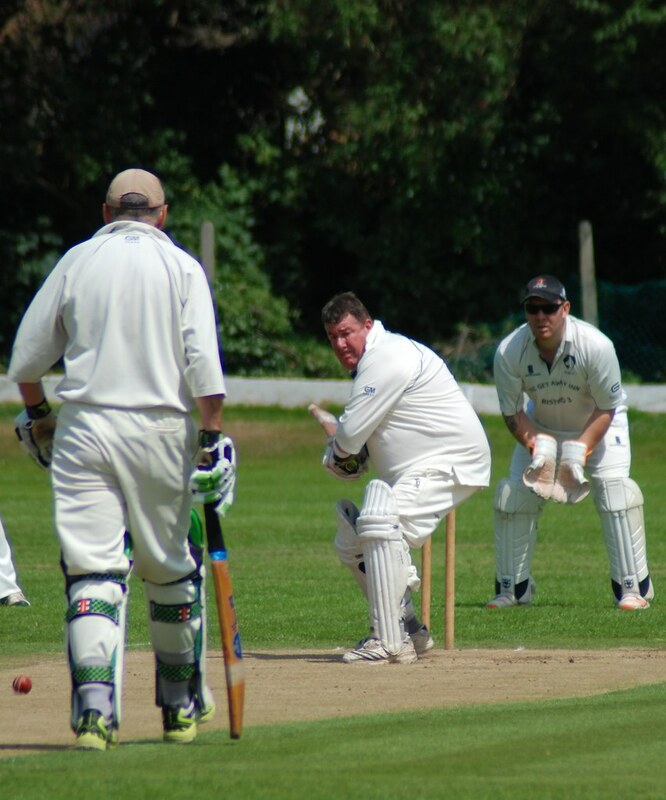 2nd XI lost to a strong Congleton side relegated this year from the county league. 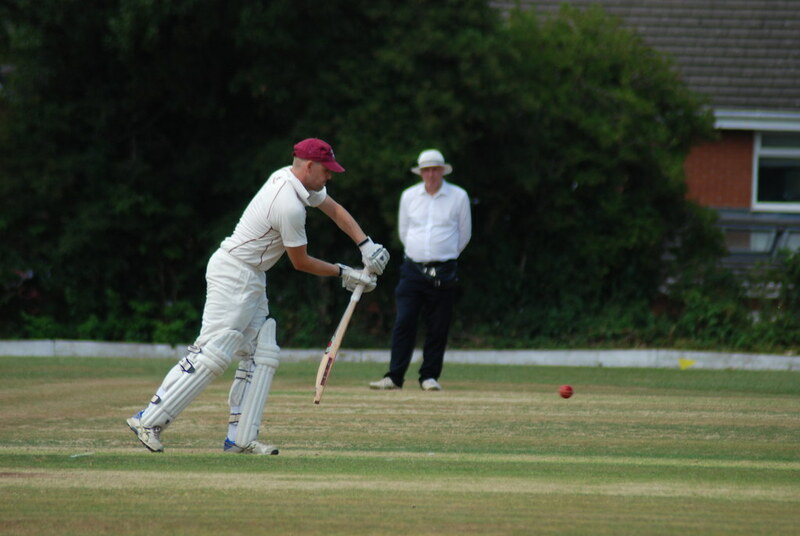 3rd XI have won at last in spectacular fashion, scoring 235 for 5, Mal Priaulx 52, Paul Disbury 70, Captain Berkson 71 and Jon Cable 18 n.o.. Wavertree did well but finished on 195. U-13s beat Irby 132 to 92. 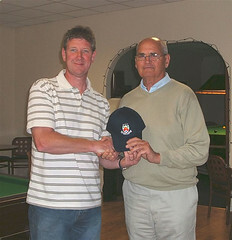 Top Scorer was Matt Garritty with his first 35 retired score. 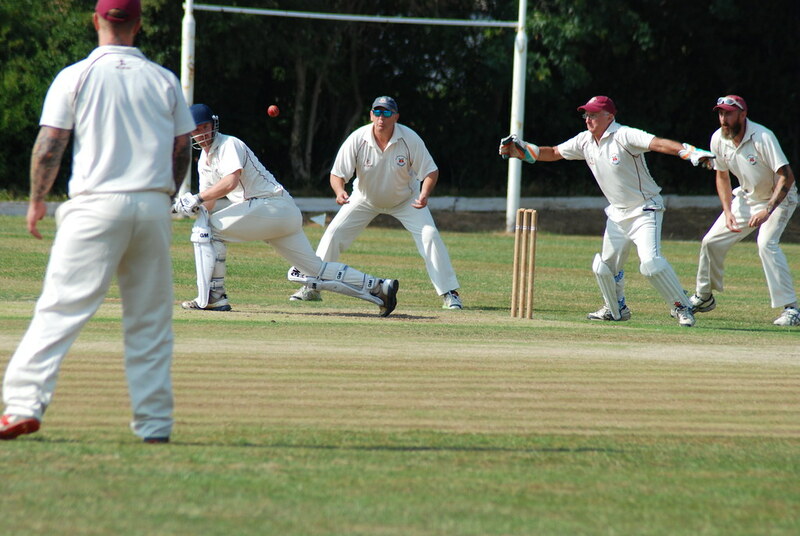 Pick of the bowlers was Sam Robinson. 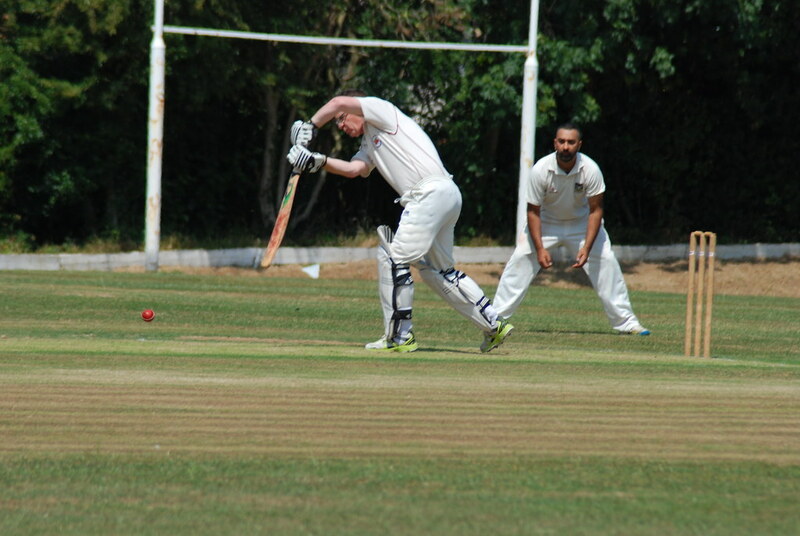 On Sunday XI beat Yorkers in a 20/20/20/20 game, with us scoring the winning run on the last ball of the game. On the Bank Holiday we were away to Prees C.C., a good cricket day on a freezing Monday. We were well looked after by Gary and Jan Dawson, curry, chips and naan bread most welcome in the arctic conditions after the game. Top batting by Will Walker 96, Liam Sadler 48 and Joe Forrester 46. 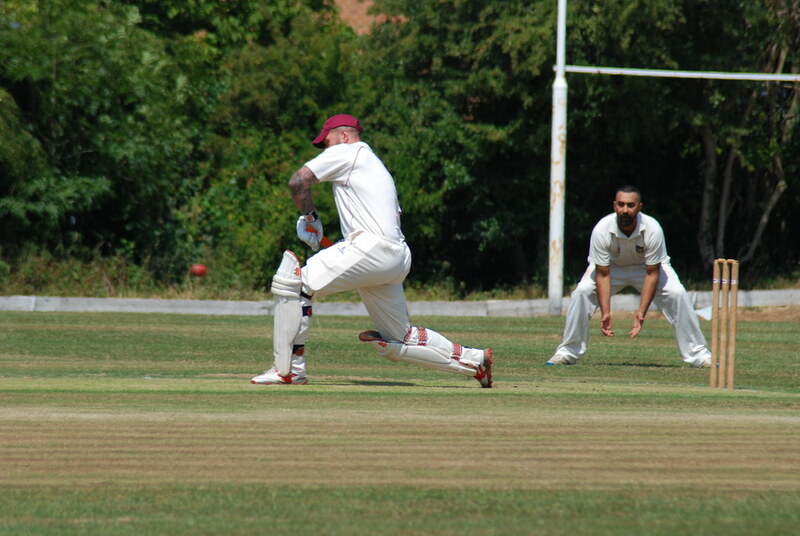 Top bowler Peter Bradshaw secured the win. Photos show the Monday team at Prees and a presentation of a Prees cap to the club. 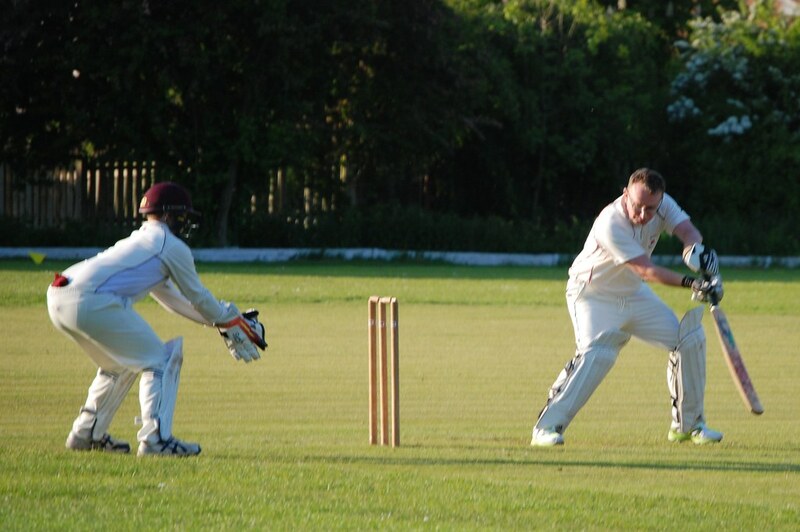 The Cricket season starts on Saturday 19th April for 1st, 2nd and 3rd teams, Sunday 20th April for the Sunday team and Sunday 27th April for U13 team - only 2 weeks away! 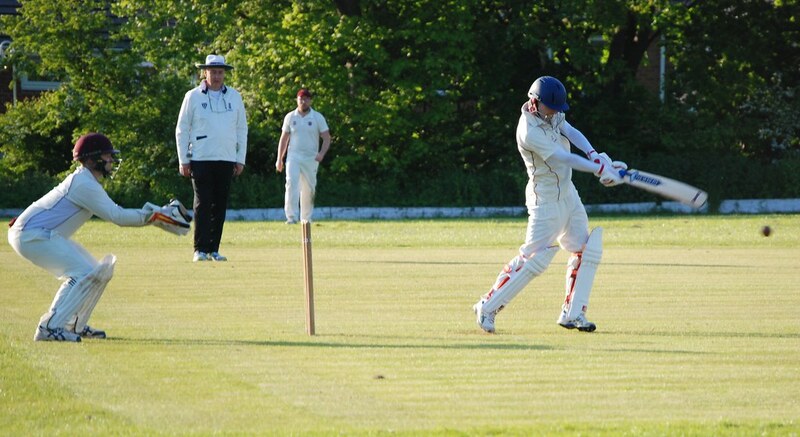 There are 2 indoor net sessions left at Birkenhead Park - Sunday 6th and Sunday 13th April - 5-6pm for juniors and 6-7pm for seniors - please make every effort to attend these in order to be ready to play well in the opening games. We could do with a few more U13 players, so if you know anyone in that age group who wants to play then get them to come along to the last 2 indoor sessions. Our first U13 game is 3 weeks away. Here's to a cracking season for all! 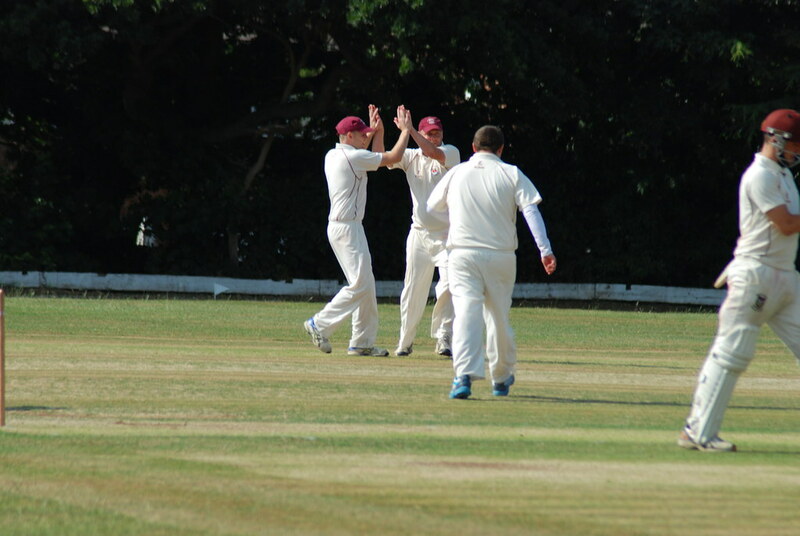 We have received a bye in the first round and will play at home to the winners of the New Brighton/Timperley game, to be played before May 24th. 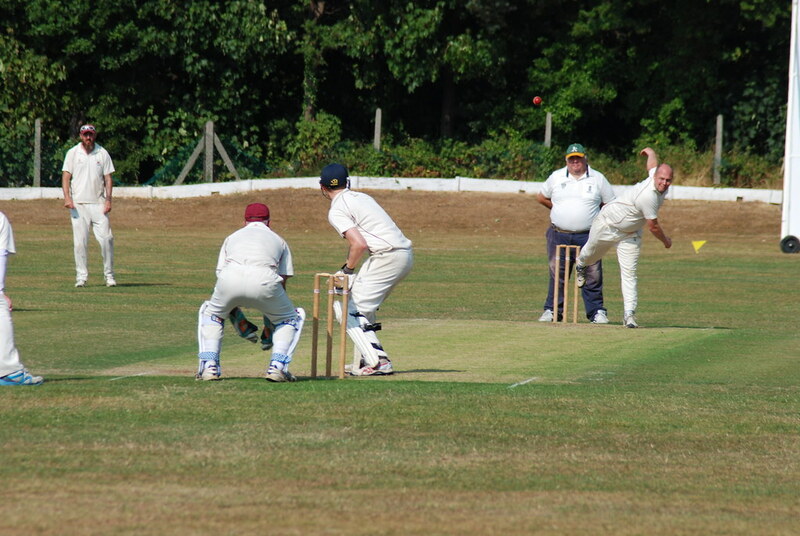 Any player who takes 4 wickets or scores 50 runs in a match are eligible for a Merit Award Certificate; these certificates are signed by a current England player. 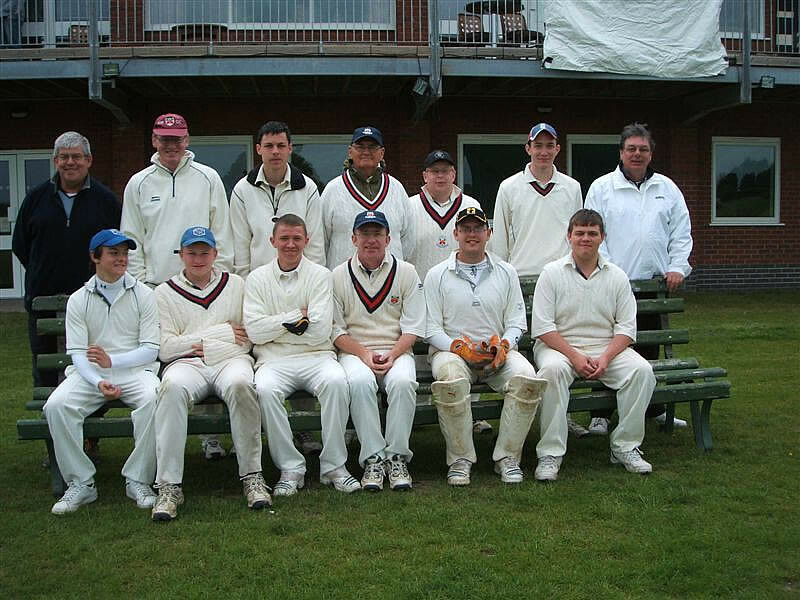 Mike Beckett, Chris Beckett, Greg Lindop, Will Walker and Dave Westwater have completed the ‘Cricket coaching and organisation of club junior cricket’ course run by the Cheshire Cricket Board. John Capps is leaving the area to live in Market Harborough; he has been a great supporter of the club and invaluable member of the umpiring squad mainly standing in the U-13 and U-15 games. We wish him all the best and thank him for his efforts these past years. 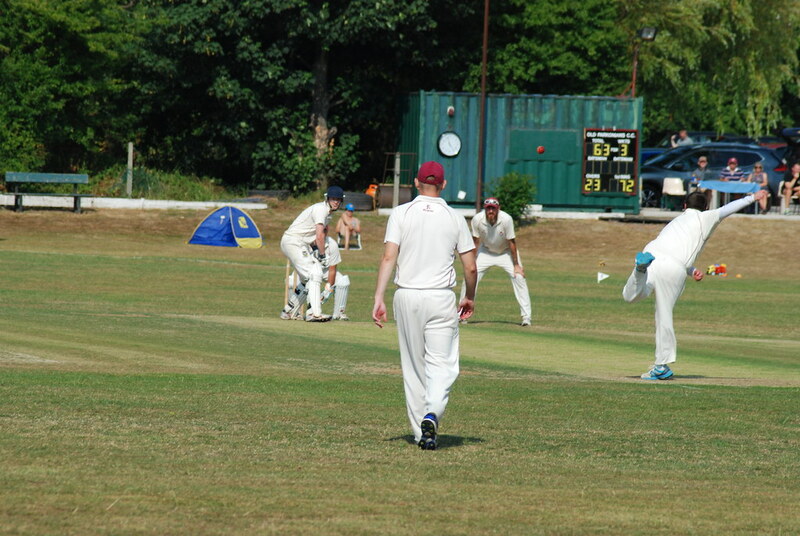 A 'non' cricket tour due to the exceptional weather! The 21 strong party enjoyed the 'non' sporting delights of Worcester dressed in rose pink tops carefully selected by Dean Dunwoody. Captain Mike Beckett and team declined to use the Hotel gym as he felt they were at peak fitness! No cricket, but a well organised trip at an excellent hotel thoroughly enjoyed by all the tourists. Peter Whiting, Dean Dunwoody and Chris Hitchell. Our umpire Ray Prescott at the county ground deciding when play will begin! 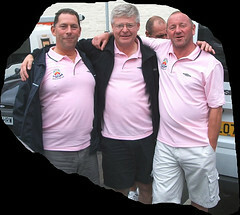 Mike Beckett, Stew McEwen and Peter Whiting jubilant at finding out our last game is also cancelled. Deposits for 2008 are now being collected. Click on the pictures to see the full sized version. 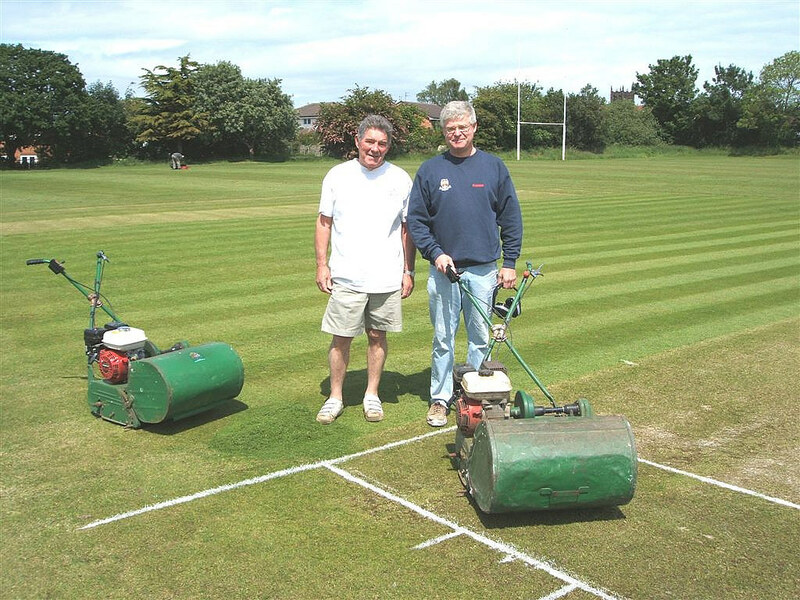 5 years ago ago by Old Parkonians.Before the rains came, Dave Westwater took this picture of the Club's ever smiling, unpaid ground staff, Mike Beckett and Ted Kearney. Ted is Will Walker's grandfather - see below for the item about Will. 5 years ago ago by Old Parkonians.Ben Larsson (the Club's resident Aussie) won a Net Session and Tour of Lords recently, hosted by Freddie Flintoff. 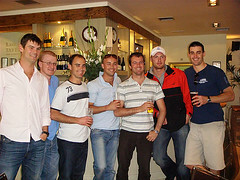 Ben attended along with some Aussie mates (The massed bar tenders of London!) to give Freddie some stick. The guy on the left of Freddie is Ben, the rest are his Aussie mates. 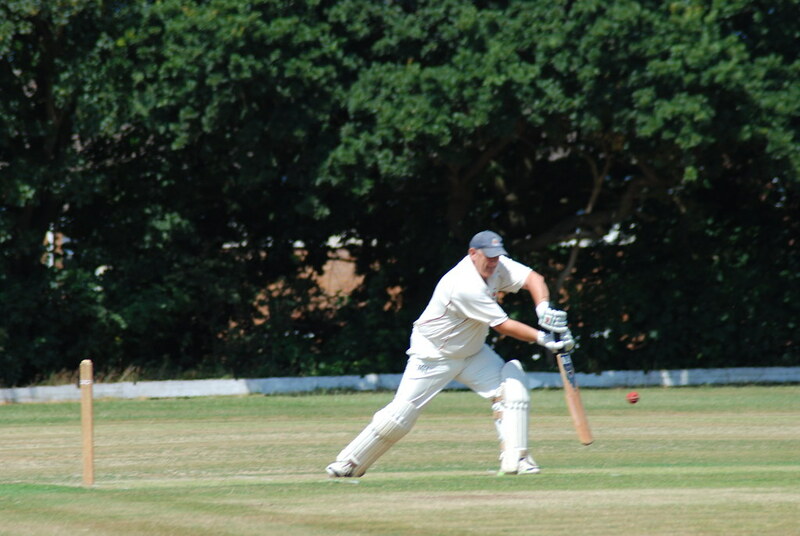 5 years ago ago by Old Parkonians.On the 7th July 2007, Will Walker was on 98 but was caught on the boundary going for his 100th run. 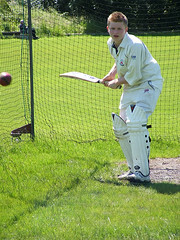 Will is 16 years old and his 98 was for the second team, being caught on the boundary missing his maiden league century. 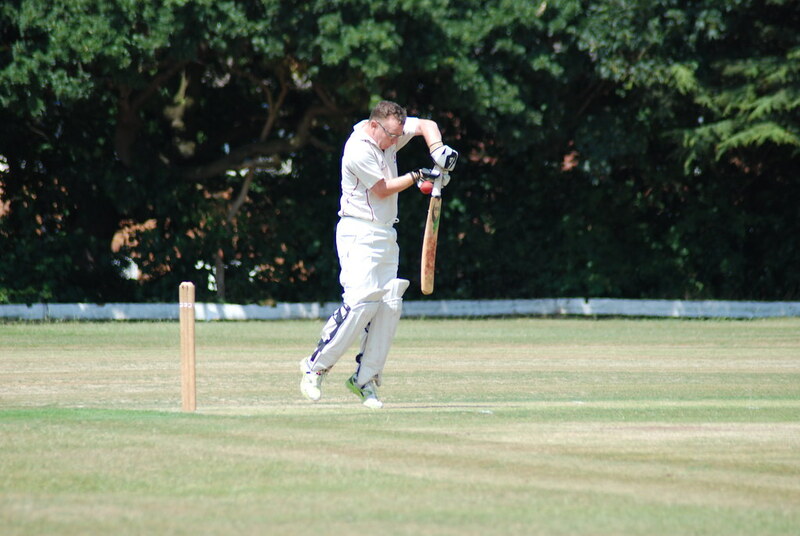 However, the following Saturday he played for the 3rds as the 2nd team game was off and scored 102 not out. As the Chairman gives a prize for U-18s scoring over 50 or taking 5 wickets in a league game he is proving an expensive player for Dave Westwater! 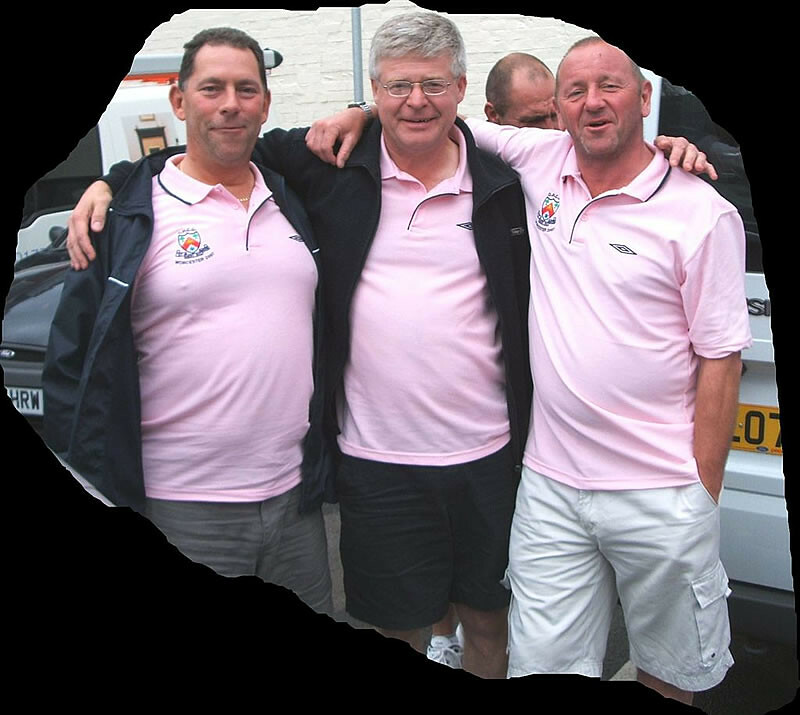 5 years ago ago by Old Parkonians.Old Parkonians recently played Prees village C.C. near Whitchurch but the game was washed out after tea. 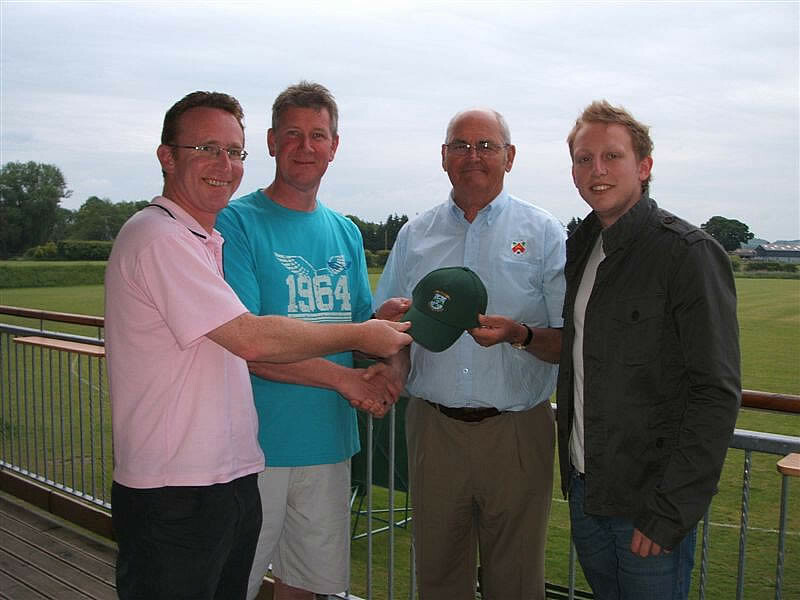 Their Captain was Gary Dawson (being presented with an OPCC cap) who also runs the social club, he was a past player of ours and still comes on cricket tour with us. He was very well known in Birkenhead for starting and owning 'Scooby Doos' and a restaurant in Hamilton Square. To see a larger version of the photograph, click on the picture. Results from the 2008 Season appear below. The Under 13s played their first league game against New Brighton, we won the match making 113 for 8 and dismissing them for 81. However, they take the points as we had to play 3, 14 year olds to make up the team. 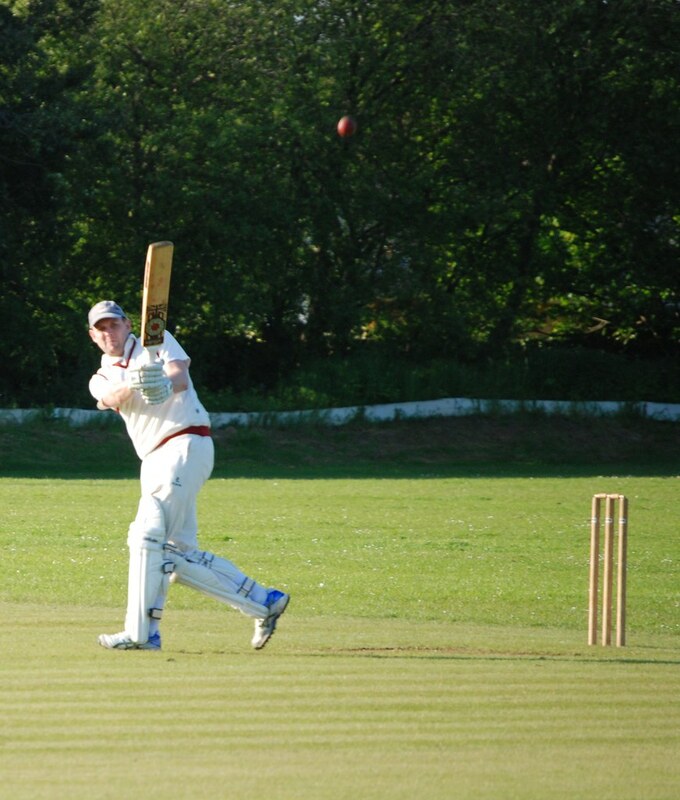 Top scorers for us were both 13 year olds, the captain Craig Hawthorn and Miles Allen, both retiring on 35 runs.